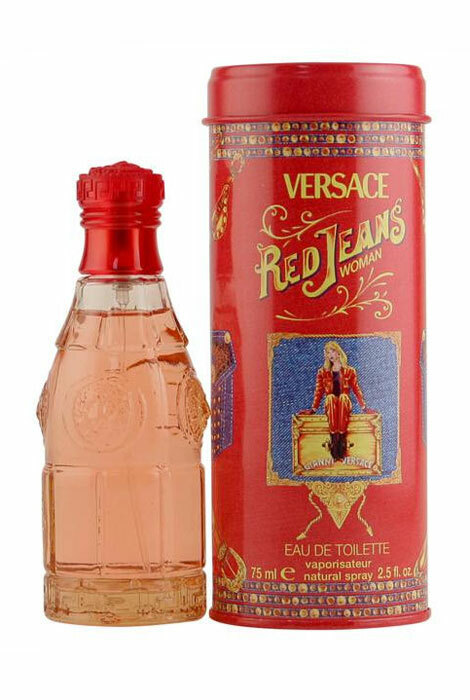 Red Jeans by Versace is a sharp, flowery fragrance with notes of peach, apricot, freesia, lily, violet and vanilla. Versace's red jeans perfume will make you feel refreshed, while its sweet and casual tones will lift hearts and ease minds. A wonderful fragrance for the young and the young at heart. Features top notes of Peach, Apricot, Freesia, Cassis and Jasmine, middle notes of Lily Of The Valley, Violet, Water Lily and Rose and base notes of Sandalwood, Musk, Vanilla. An EDT spray. 2.5 fl. oz. No express shipping. No shipping to PO boxes.